Just quote these coupon codes at the time of ordering a new connection and you will enjoy free 1 month of usage of super saver pack and i get rewarded too. 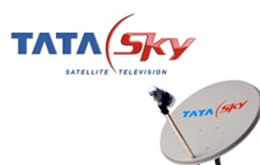 Also Tata Sky has finally launched their DVR calling it the Tata Sky plus. Tata Sky is asking for the account number corresponding to this referral code. Please email me the same. Tata Sky claimed that they never got the coupon referral.